Simply demolishing a pre-existing building doesn’t make it possible for you to start construction work. Earthmoving, tunnelling and other excavation tasks are necessary in order to build foundations and ensure that construction proceeds smoothly. While these services are offered by many excavation companies in Melbourne, it’s important to choose a company that’s capable of getting the job done to the highest standard. Fortunately, the team at Ultra Bin Hire & Demolition can provide professional excavation services in Melbourne to get your site ready. Whether you need to level a sloping block or dig out a basement, our highly trained specialists can be trusted to complete the job safely and successfully. By having us carry out excavation work whilst our team and equipment are on-site, you’re almost always guaranteed to save valuable time and money. In addition to our excavation services in Melbourne, we can also provide rubbish removal and site-clean ups as well as asbestos removal and bin hire. We’re dedicated to providing you with complete convenience, saving you from having to hire multiple rubbish removal and excavation companies in Melbourne. Whether you need to move a few cubic metres or a few hundred cubic metres, Ultra Bin Hire & Demolition is a one-stop shop for all your excavation and rubbish removal needs. 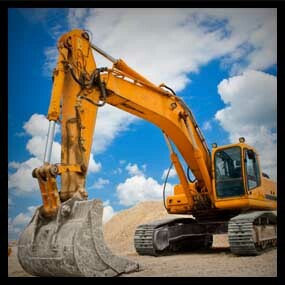 WHY CHOOSE US OVER OTHER EXCAVATION COMPANIES IN MELBOURNE? When it comes to professional excavation services in Melbourne, there’s no better choice than Ultra Bin Hire & Demolition. Contact us today for more information and further assistance from one of the leading excavation companies Melbourne wide, or click the quote button below for a free cost estimate. We can also provide demolition services –learn more.